When Patricia was six years old, she read her first book and discovered she had been born a writer. She spent her formative years reading, and has spent most of the ensuing years writing or trying not to write. It hasn’t always been easy. 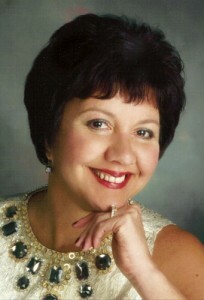 Patricia juggled careers in the automotive industry and real-estate. But writing has always been her first, true love. Writing is Patricia’s passion and rules her life, which is why she insists she’s boring. Her motto is “Thank God for Ambien,” because when inspiration hits, sleep suffers. She does prefer Stolichnaya, poured over ice, with a splash of soda and a twist of lime. With the maiden name of Boscarino and married name of Bellomo, Patricia’s characters are all but guaranteed to be Italian. She lives in the northeast suburbs of Detroit, where a majority of names end in vowels, and Patricia sincerely apologizes to the acquaintances or friends of friends and family whose surnames may arise in her novels—coincidence only. Patricia insists her characters choose their own names. Patricia’s books are all about her characters, most of who belong in a Martin Scorcese film. So if you know Martin, please tell him you’ve discovered his next blockbuster or HBO series. Patricia lives with her husband, Vince, and a sassy rescued dog she calls “The Boss.” Patricia and Vince escape Michigan winters by visiting Delray Beach, Florida. They occasionally trek down to South Beach, the setting for Stella di Mare. Favorite places to visit include all of South Florida and New Orleans, which is her main characters home town. Louie Morelli’s Mistress takes place in New Orleans and all of the books reference it in some way or another. Patricia’s latest book, The Prince of Mafia Princes, is set along Florida’s Gold Coast.